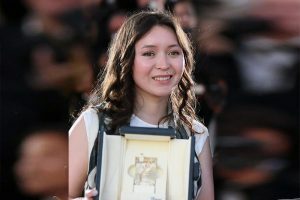 Samal Yeslyamova won the Cannes Film Festival Award for Best Actress for the leading role in AYKA by Sergey Dvortsevoy. We are overwhelmed, we are happy and we would like to express a big THANK YOU to all who have managed to realize this film. The film was amongst others supported by Mitteldeutsche Medienförderung and ZDF / ARTE.